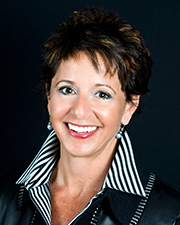 Rita Ferrandino has been named the new CEO for The Education Design Studio Inc. (EDSi), a unique seed fund/incubator. EDSi helps education entrepreneurs jumpstart new ventures, and was created in collaboration with the University of Pennsylvania’s Graduate School of Education. Ferrandino will welcome seven new EDSi Fellows this month, selected from more than 300 applicants worldwide, with projects ranging from next generation case study education to artificial intelligence math tutoring to neuroscience learning. Ferrandino has built a reputation as one of the most effective strategists and coalition-builders in the education community. She is a nationally recognized STEM education expert and authority on education policy and politics. Ferrandino is the founding partner at Arc Capital Development, a global private investment and advisory firm. Arc invests in and operates companies in the K-20 education and special needs markets and has served over 95 clients in the U.S., Canada, Mexico, Singapore, Hong Kong, China, Ireland, Turkey, Israel & India. Arc clients and portfolio companies provide products generating over a billion dollars a years to schools worldwide. The Design Studio fund is a one-of-a-kind collaboration between the University of Pennsylvania’s Graduate School of Education (Penn GSE) and a host of seasoned venture capitalists and investors. EDSi represents a new paradigm for investors, with a model that blends the best elements of an incubator, design studio, seed fund, and social impact company. The fund specifically emphasizes the importance of good research for any education business. It is built to allow entrepreneurs the longer incubation time necessary for working in the education space while connecting them with the investors and advisors critical to their success. The EDSi 2016-17 ventures have existing revenue and/or funding, a sales pipeline, intellectual property in areas such as software or curriculum development, and the ability to gain leadership in a specific market and/or industry niche. TriviaNote (Philadelphia, PA) - a socially-oriented study platform designed to help students save time and retain more of what they learned by automatically transforming class notes into quizzes, flashcards, and player vs. player trivia challenges. EDSi Fellows gather monthly at the Oxford Mills Innovation Center in Philadelphia for an intense three days developing their products and understanding education research and the education marketplace. They also regularly meet online with mentors, researchers, investors, and educators as part of the education innovation ecosystem. The EDSi emphasis on education pedagogy, data-based financial analysis, and cutting-edge technology development has distinguished the fund’s investments for the last several years. Uniquely, EDSi draws on Penn faculty and students from GSE, Wharton, and the School of Engineering and Applied Science for a variety of consulting roles. Since its inception, EDSi has consistently led strategic relationships with K-12, corporate, and higher education institutions to support early testing of demand and rapid iteration. Previous EDSi ventures which have garnered millions in investment include Raise Labs (www.raiseme.com), ApprenNet (now Practice), Ubongo (www.ubongokids.com), and Byndr (http://www.byndr.com). EDSi’s Demo Day will be in January 2016. For more information, please see www.e-designstudio.com.